As a strong advocate of prevention and the natural power of the human body to heal itself, Dr. Steelsmith uses therapies that are primarily natural and non-toxic. She prescribes medicines and lifestyle changes which stimulate the patient’s healing process, rather than drugs which simply suppress the symptoms and may have multiple unhealthy side-effects. It is vital in her training and practice to diagnose and treat the underlying cause of disease. Dr. Steelsmith treats people, not conditions. She works with the whole person as a unique individual, rather than just a particular organ or system. Mental, emotional, nutritional, genetic, environmental, and lifestyle factors are fully taken into account, as well as any physical causes of illness. In order to care for her patients effectively, she spends an hour with them on first office visits and 45 minutes with them on follow-up visits. 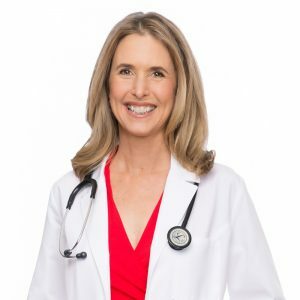 Highly trained in both traditional Western science and alternative medicine, Dr. Steelsmith is uniquely qualified to determine what is best for a patient’s specific needs. She blends centuries-old knowledge of natural therapies with the latest medical advances in scientific diagnosis and treatment.